I work on the philosophy of mind, philosophy of language, phenomenology, and political philosophy, analytic and continental. I also have interests in the philosophy of science. I have published on Husserl, Russell, Wittgenstein, Quine, Sellars, Putnam, Heidegger, Derrida, Agamben, Badiou, and other twentieth-century and contemporary figures. I am strongly committed to the development of "pluralist" philosophy, i.e. philosophy located beyond the divide between the analytic and continental traditions. 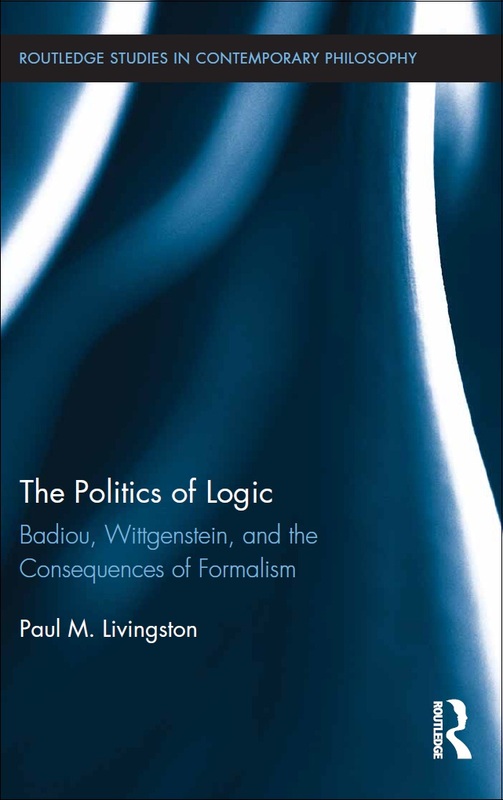 In this book, Livingston develops the political implications of formal results obtained over the course of the twentieth century in set theory, metalogic, and computational theory. 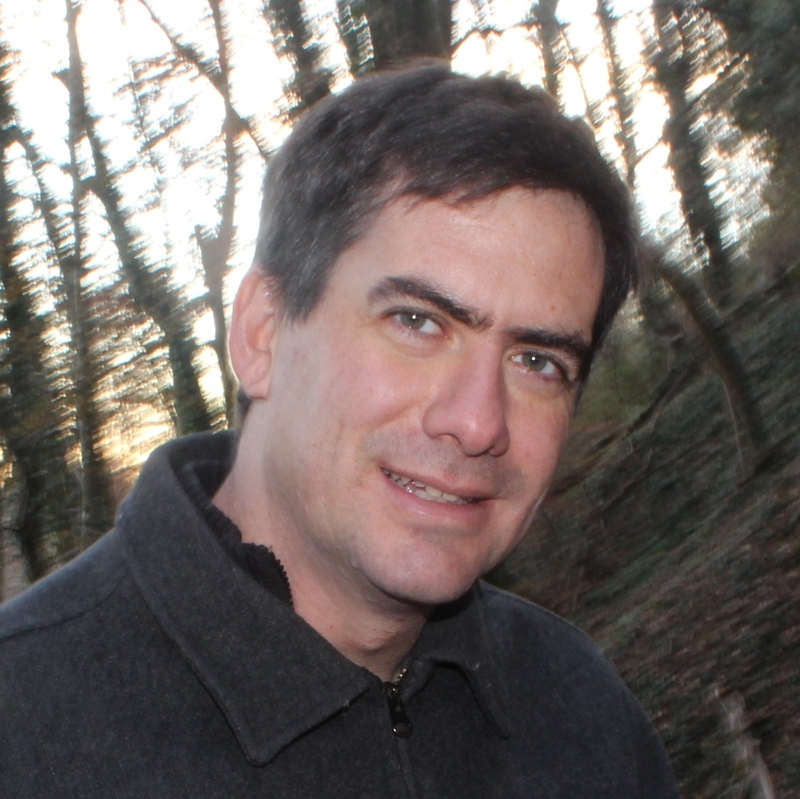 He argues that the results achieved by thinkers such as Cantor, Russell, Gödel, Turing, and Cohen, even when they suggest inherent paradoxes and limitations to the structuring capacities of language or symbolic thought, have far-reaching implications for understanding the nature of political communities and their development and transformation. Alain Badiou's analysis of logical-mathematical structures forms the backbone of his comprehensive and provocative theory of ontology, politics, and the possibilities of radical change. Through interpretive readings of Badiou's work as well as the texts of Giorgio Agamben, Jacques Lacan, Jacques Derrida, Gilles Deleuze, and Ludwig Wittgenstein, Livingston develops a formally based taxonomy of critical positions on the nature and structure of political communities. These readings, along with readings of Parmenides and Plato, show how the formal results can transfigure two interrelated and ancient problems of the One and the Many: the problem of the relationship of a Form or Idea to the many of its participants, and the problem of the relationship of a social whole to its many constituents. Read sample chapters from The Politics of Logic here. Philosophy and the Vision of Language explores the history and enduring significance of the twentieth-century turn to language as a specific object of investigation and resource for philosophical reflection. It traces the implications of the access to language in some of the most prominent projects and results of the historical and contemporary tradition of analytic philosophy, including the projects of Frege, Wittgenstein, Sellars, Quine, Brandom, and Cavell. Additionally, it demonstrates the deep and enduring connections between the analytic tradition's inquiry into language and the parallel inquiries of phenomenology, critical theory, and deconstruction over the course of the twentieth century. Finally, it documents some of the enduring consequences of philosophy's inquiry into language for contemporary questions of social and political life. The book provides a clear, accessible and widely inclusive introduction to the relevance of language for analytic and continental philosophy in the twentieth century and is readable by non-specialist audiences. It should contribute to a growing historical sense of the location of the analytic tradition in a broader geography of social, political and critical thought. Furthermore, it contributes to building bridges between this tradition and the neighboring continental ones from which it has all too often been estranged. The problem of explaining consciousness today depends on the meaning of language: the ordinary language of consciousness in which we define and express our sensations, thoughts, dreams and memories. Paul Livingston argues that this contemporary problem arises from a quest that developed over the twentieth century, and that historical analysis provides new resources for understanding and resolving it. Accordingly, Livingston traces the application of characteristic practices of analytic philosophy to problems about the relationship of experience to linguistic meaning. 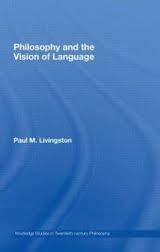 Paul Livingston traces the development of the characteristic practices of analytic philosophy to problems about the relationship between experience and linguistic meaning, focusing on the theories of such philosophers as Carnap, Schlick, Neurath, Husserl, Ryle, Putnam, Fodor, and Wittgenstein. Clearly written and avoiding technicalities, this book will be eagerly sought out by professionals and graduate students in philosophy and cognitive science. I am editor for 20th century philosophy at Routledge Encylopedia of Philosophy and also editor for continental philosophy at philpapers.org. Below are some published and forthcoming papers. In David W. Smith and Amie Thomasson, ed., Phenomenology and Philosophy of Mind. Oxford University Press, 2005. Journal of Consciousness Studies 20: 5-6 (2013), pp. 71-92. How do we Recognize Strong Critique? Crisis and Critique 3 (2014), pp. 85-115. Continental Philosophy Review 45:1 (2012), pp. 161-70.